Despite all the news about economic globalization covering the planet with big box stores, public markets are undergoing a sweeping renaissance as people around the world strive to rebuild local economies and keep human connections flourishing. 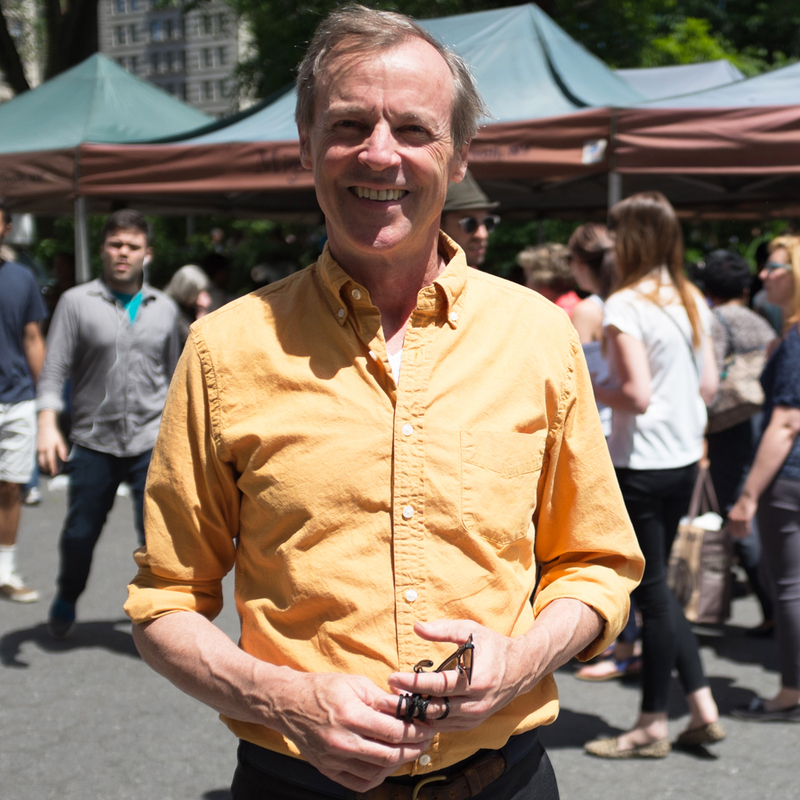 People love markets for so many reasons, yet in all our surveys asking people why they use markets, the one that always shows up on top is the experience: seeing other people, opportunities for impromptu conversations, the unexpected sensory delights. This is what draws people back, again and again, to their favorite markets. But these qualities of spontaneity and sociability don't just happen; a great market must be carefully planned as a public gathering place and managed within a sustainable business structure. Underlying all PPS's work is the "Power of 10"--the idea that at least ten focal points are necessary to make a great place, with each of those areas offering ten things to do. Public spaces exhibiting the Power of 10 offer the depth, meaning and visceral connections that create satisfying everyday experiences. This principle has a strong effect when applied to public markets, and lends them a competitive advantage over many other commercial forms. It is interesting to note that many innovations which have proven successful at public market--connecting with local farmers and producers, adding public seating, rebuilding a sense of community, adapting to site specific needs--are now being copied by savvy retailers such as Whole Foods. Much can be learned about what makes places great by observing successful markets - and vice versa. PPS has worked on markets all over the world and carefully studied the classic elements that go into creating successful markets or reviving old ones. And we've found that much of what makes a great market is identical to what makes a great public space. Drawing on this experience, let's look at how the Power of 10 works. And in the spirit of the Power of 10, below you will find the 10 factors (more or less) that make these 10 qualities tick! ‍‍The art of selling is second nature to Amish families from Lancaster County, Pennsylvania. Early practitioners of sustainable agriculture, most Amish children learn to sell at roadside stands or markets from their parents. 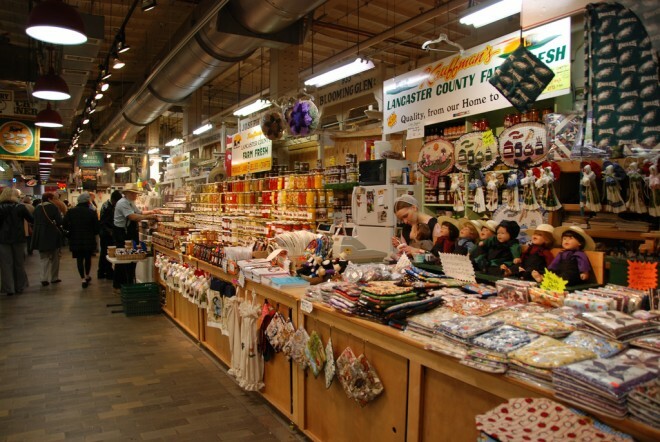 At Philadelphia's Reading Terminal Market, the Amish are a cherished presence and well patronized. ‍‍The steps of Iglesia Santo Tomás on market day | Many markets around the world still operate in cathedral squares and other sacred locations. 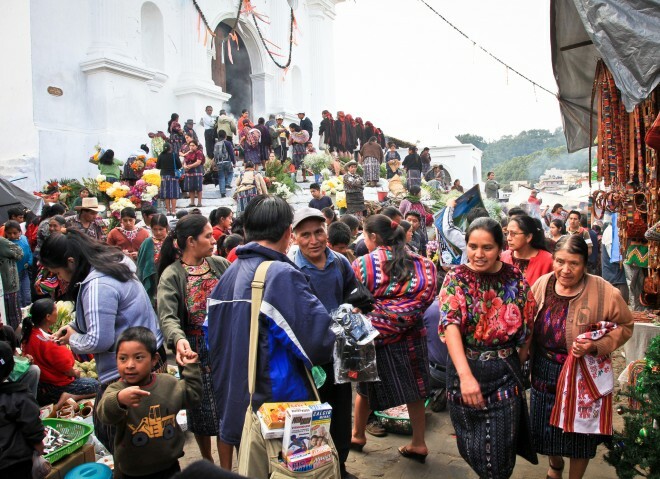 Guatemala's Chichicastenango market sets up in front of the cathedral to provide the devout with a convenient location to take care of both earthly and spiritual needs. 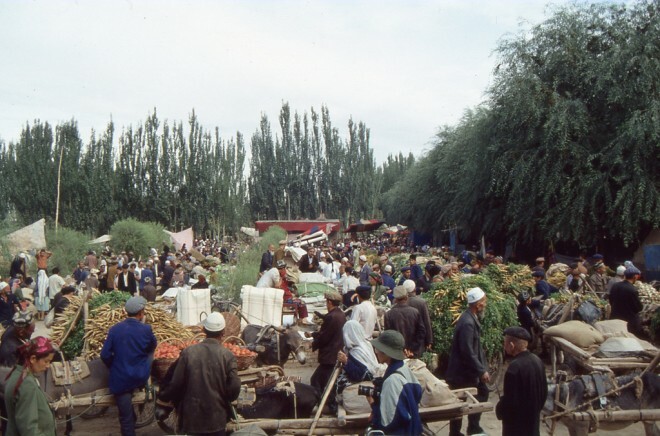 ‍‍China's fabled Sunday Market in Kashgar is the gathering place for over a hundred thousand eager hagglers every week. In recent years, the Chinese government has spent over $1 billion building and improving markets. 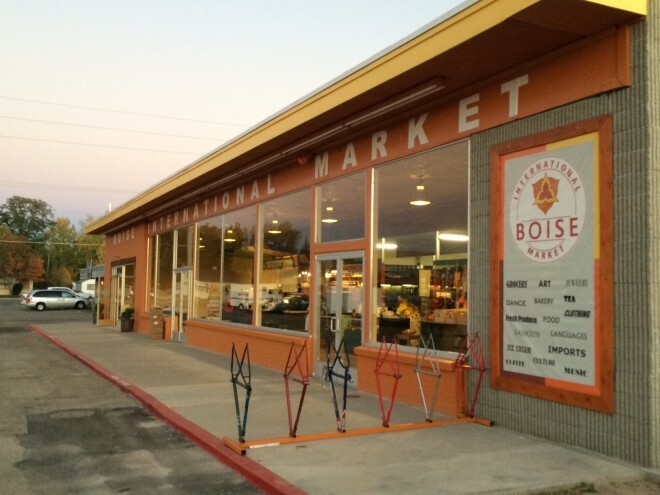 ‍‍In October 2014, after two years of rebuilding, recruiting, and planning, the Boise International Market (BIM) opened on the site of a once-dilapidated and partially burnt down strip mall in the “Bench” neighborhood of Treasure Valley. The Market began as an incubator program for small businesses, focusing in particular on Boise’s large refugee and immigrant population. Today, only a few months since opening its doors, the site has 27 vendors and restaurants selling food, clothing, and other products from all over the world. 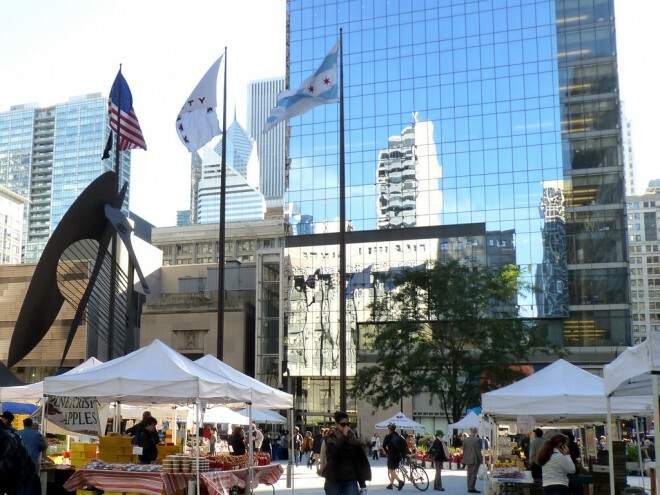 ‍‍Chicago's Daley Plaza is transformed into in open air market every Thursday during the growing season. 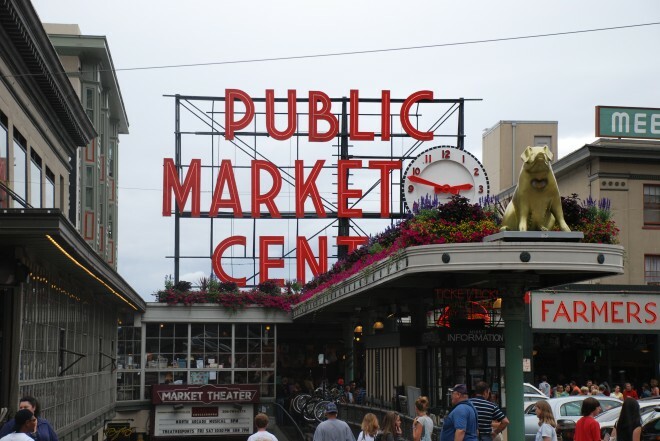 ‍‍Pike Place Market is visited by more people in downtown Seattle than sporting and entertainment events combined. The market is self sustaining and has just completed an economic impact study that will be used to launch a major capital campaign. 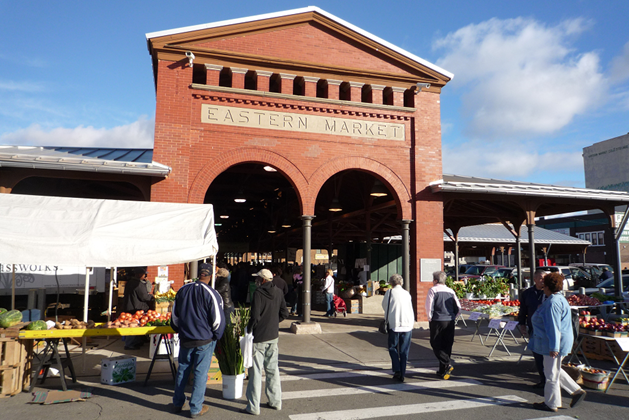 ‍‍Detroit’s Eastern Market, one of the greatest classic market districts left in the United States, promotes Flower Day to colorfully kick off its spring season. The event is the market’s largest annual weekend drawing more than 100,000 shoppers. ‍‍Cathedral Square, Milwaukee WI. 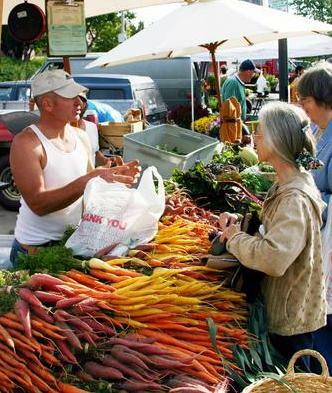 Small town markets have reappeared in town squares across America matching local farmers with city folk who are hungry for quality products as much as the social gathering. 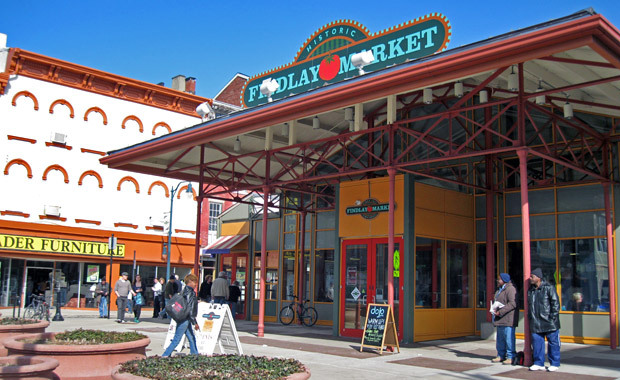 ‍‍After completing a multi-million dollar renovation of its historic Findlay Market, the City of Cincinnati assigned management duties to a non-profit corporation formed specifically to operate the market with the mission of balancing entrepreneurship and social goals. Many cities are transferring market management to such entities.